The authors were supported by CDC cooperative agreement U10/CCU320408-05. We thank Andrew W. Zimmerman, MD, for his review of the manuscript and helpful comments. The analyses, interpretations, and conclusions addressed in this publication are the authors’ responsibility and do not represent the opinions of the National Center for Health Statistics. 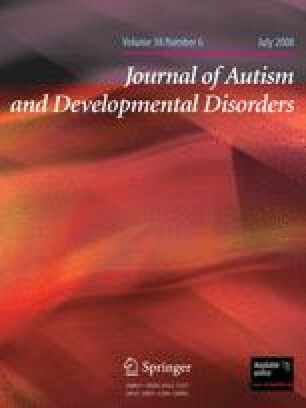 A preliminary version of this report was presented at the International Meeting for Autism Research, Montreal, Canada, June 2006.